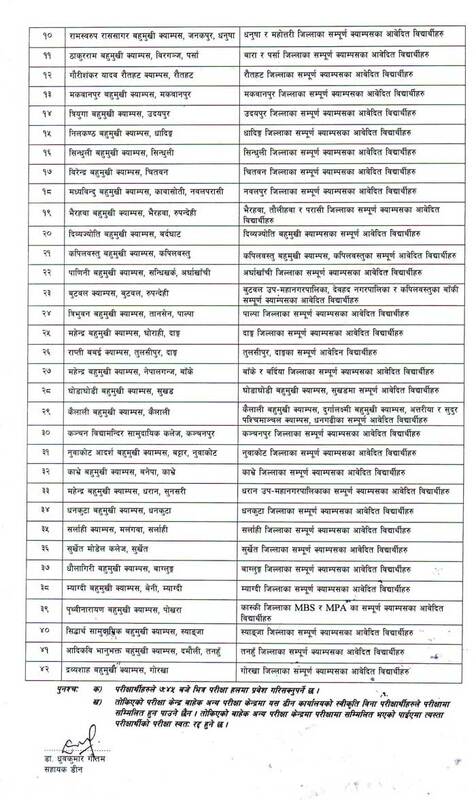 Tribhuvan University, Faculty of Management, Dean Office, Kirtipur has published the entrance examination center for the enrollment in the Master of Business Studies (MBS) and Master of Public Administration (MPA). 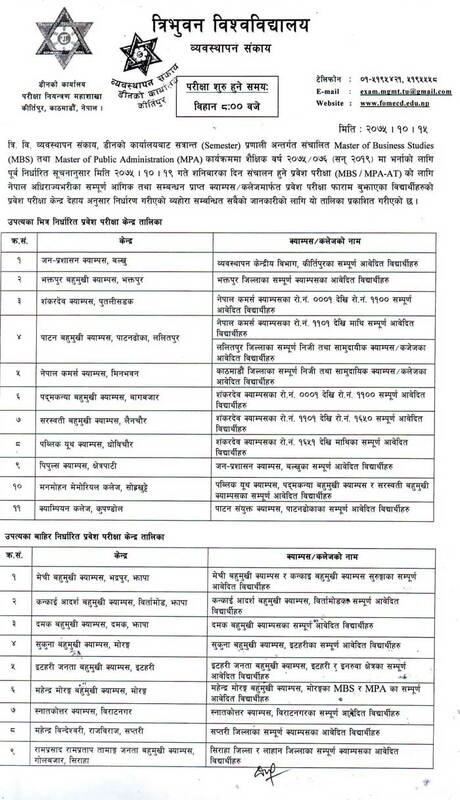 The examination will be held on Magh 19, 2075. The examination time for MBS and MPA entrance starts from 8:00 AM.